“Jacob” Nessie muttered, her hands covering her face. Bella and Edward looked both shocked and surprised, and Jasper and Emmett seemed oddly satisfied. Alice seemed thrilled, but Blondie looked disgusted. I saw all of this within a matter of seconds, and then I was back to staring at Nes. Her brown eyes peeked at me from between her fingers, but before I could say or do anything, she had gotten up and bolted out the door. “Nes!” I cried, jumping up. The rest of them jumped up as well, but I was already out the door. I paused for a moment, sniffing, and the ran towards where her scent led me. She was at the river in the back, a bit in the woods. When I walked up, I saw her tense, but she didn’t turn around. 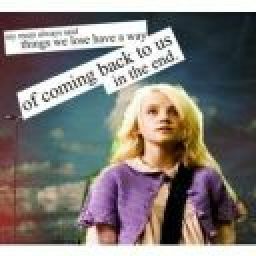 I let my thoughts wander freely, since I knew we were too far away for Edward to hear us. Nessie’s hair spilled down her back, her curls floating to her waist, and I noticed it was longer than it had been in a while. “Renesmee” I whispered, my voice floating through the still air. She finally turned to me, her eyes sparkling with tears. “I’m so sorry Jake. I didn’t want you to know, I figured it would make things weird and all…” she said. “Stupid Uncle Emmett for making me say that, I-” I slapped my hand over her mouth, much like I used to do with Bella. I sighed and began to tell her the story. “Nes, did your parents ever tell you about the day you were born?” I asked. She nodded. “Of course. Mom was still human, so she nearly died giving birth to me. She was nearly dead, and you thought she was, and you ran away… because you loved her. But she didn’t die, the venom worked in time!” she recited, without taking a breath. “I thought I loved her. When I realized she was ‘dead’, I decided to destroy the thing that had caused her death. You…” her eyes widened, and she crossed her arms. “You were being held by Rose, she was feeding you. Well, she had just finished feeding you at least. She picked you up, and you looked over her shoulder. At me. I saw your eyes, and I knew instantly why I had loved Bella. It was you. It was always because of you Nes, from the very beginning.” I saw recognition flash through her eyes as she realized what I was saying. “You imprinted on me?” she asked incredousley. I nodded mutely, unsure of what her reaction would be. She smiled impishly at me. “Well…then you don’t mind if I do this?” she asked, and kissed me. I smiled and kissed her back. The fact that we both could hold our breath for long amounts of time made sure the kiss lasted a long time. When we did break apart, we were both grinning. I touched my forehead to hers. “Not at all” I muttered, and she smiled up at me. “Block your thoughts. I don’t really want your father to murder me…” I muttered as we headed back, hand in hand. Faint color appeared in her cheeks, and she nodded. We walked in the door, and she appeared nervous. Everyone’s gaze was on our locked hands. The tense silence was broken when Emmett shouted “Finally!” and hugged us. “Ow…Uncle Emmett you’re squishing me!” Nessie squealed, laughing. “Sorry Nes. Come on! 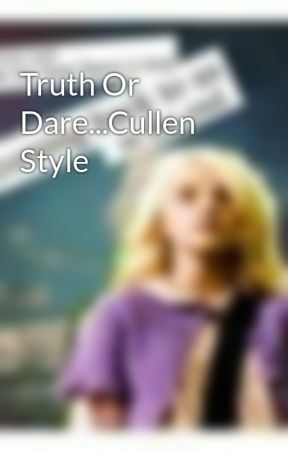 Evrything’s worked out, now let’s play some Truth or Dare! It’s time for round three!” he shouted. “Okay, but this is the last round” Bella stated, glancing over at me and Nes. Emmett pouted, but didn’t say anything. “Okay…since I was last… Jake Truth or Dare?” Nessie asked me.